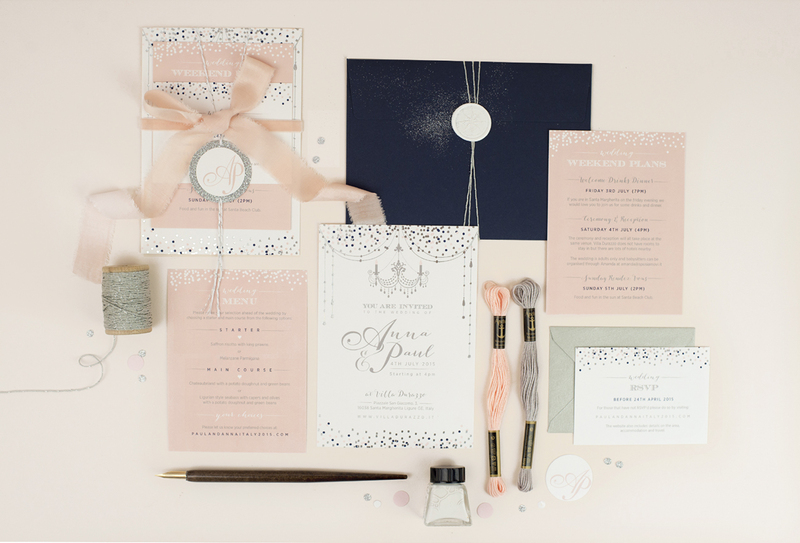 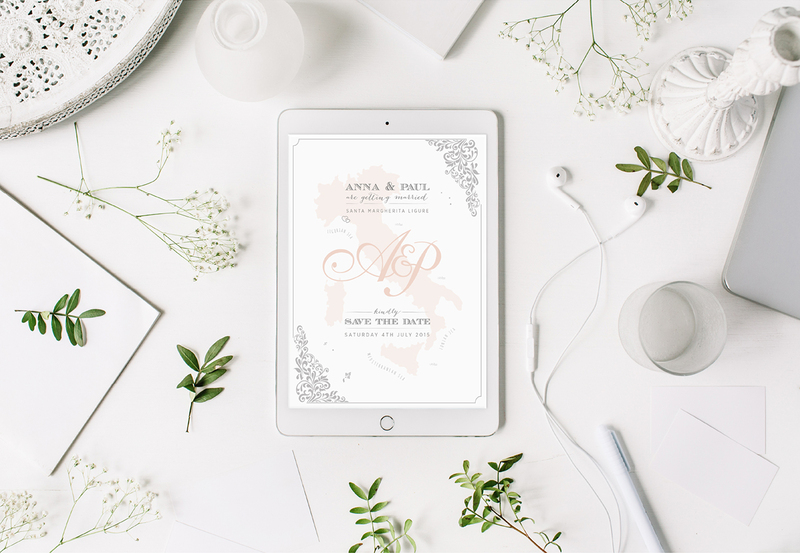 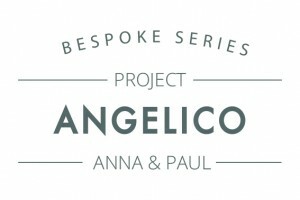 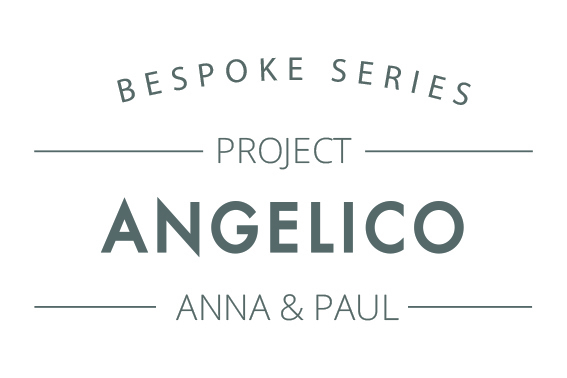 BRIEF CRITERIA: Anna and Paul requested their bespoke stationery be elegant and glamorous, in-keeping with their grand Italian Riveria wedding venue in Santa Margherita Ligure. 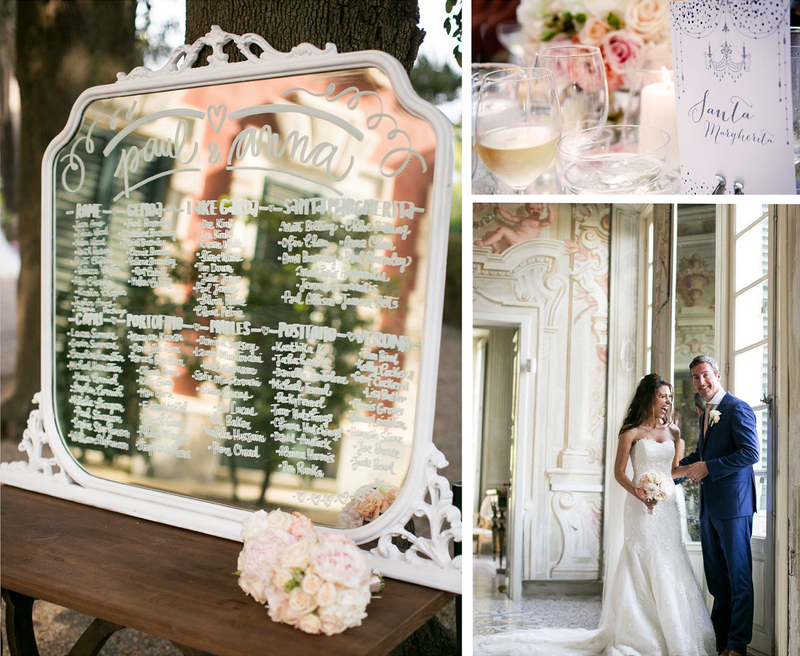 THE RESULT: Firstly, a monogram was created using the bride and groom’s initials which became their ‘stamp’ throughout the wedding. 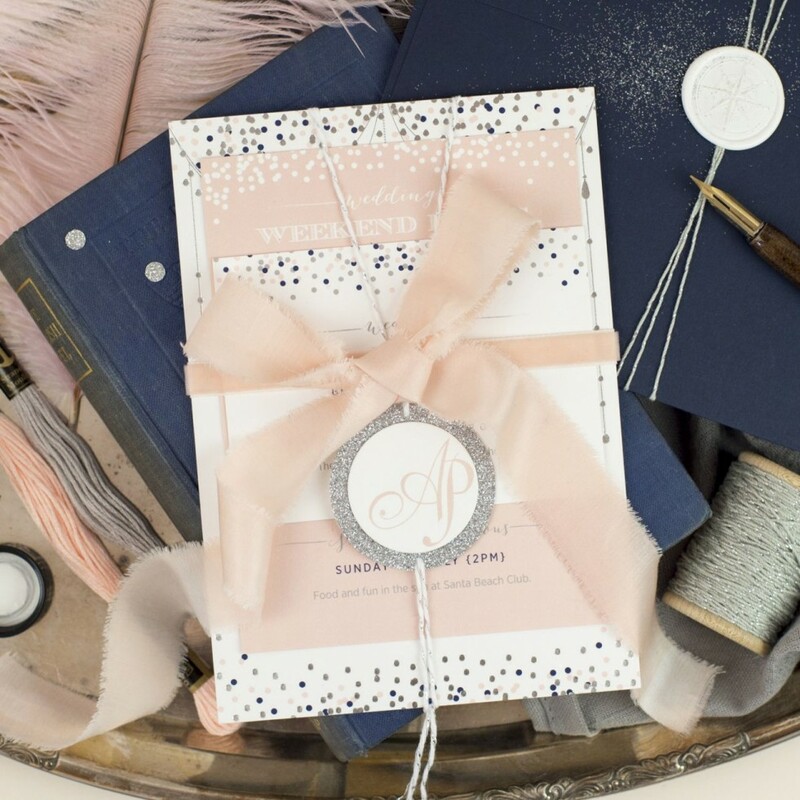 For the invitations, the monogram was then printed and set onto a circular glitter tag, finished with a silver stand twine, adding a little touch of opulence to the designs. 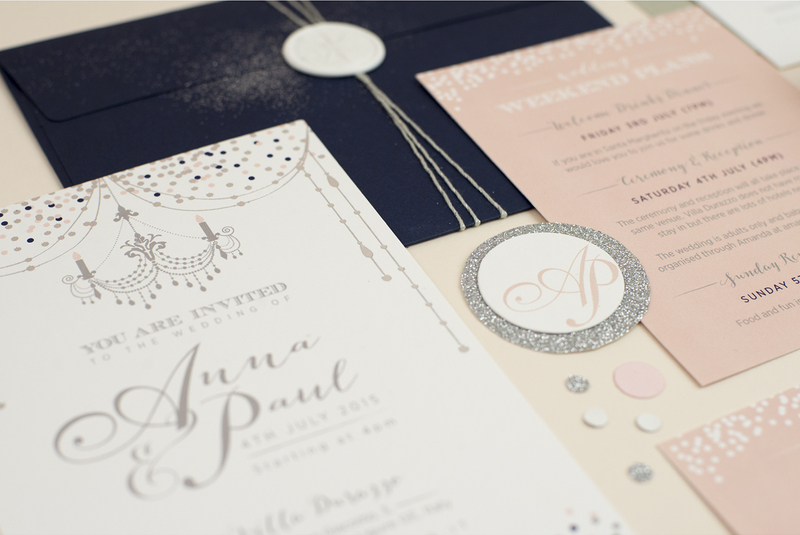 Anna wanted a chandelier to be the main feature of the invitation to complement the stunning decor of the venue. 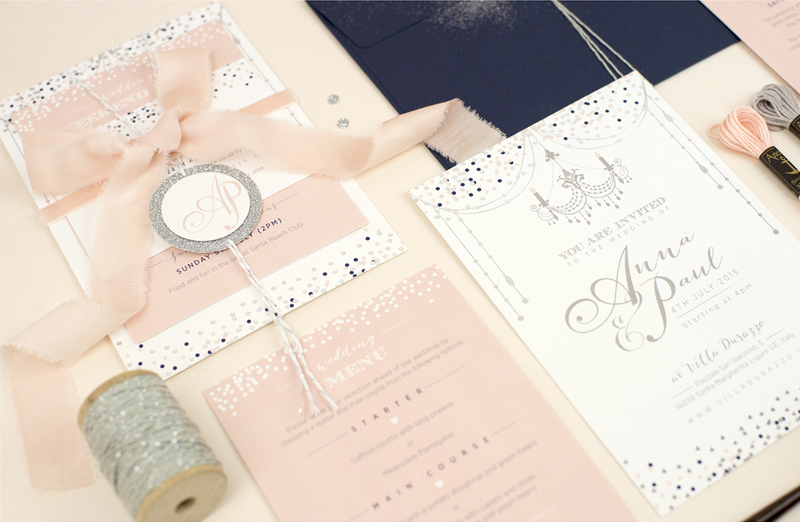 The chandelier became the focal point with its hanging crystals and surrounding silver foiled confetti and delicate drapes. 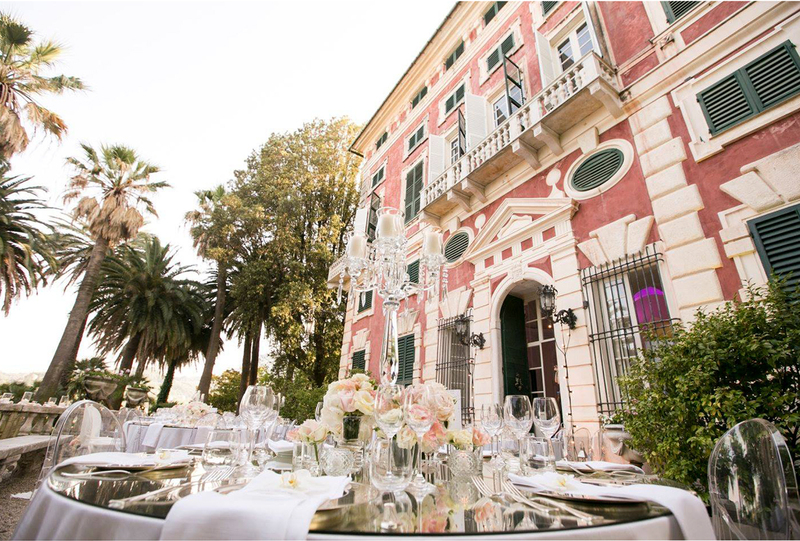 To personalise the illustration further, the main body of the chandelier was replicated from the details of the grounds at the venue. 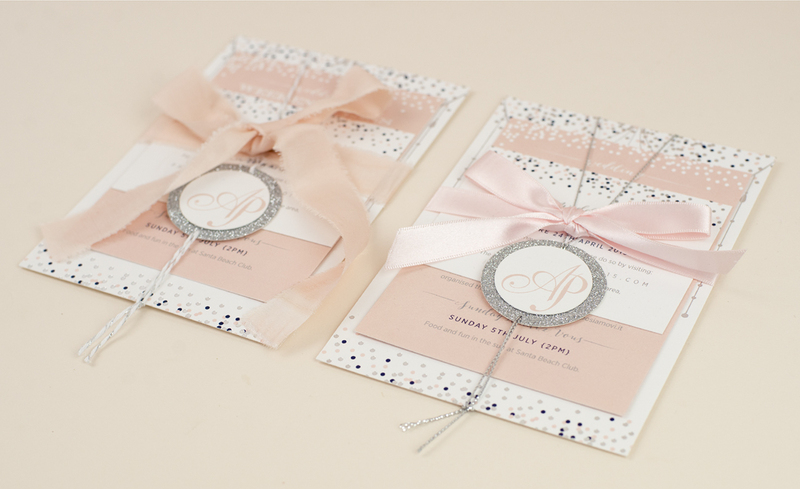 Within the set Anna & Paul had information cards detailing the plans for the weekend, RSVP cards and menus for guests to pre-select their wedding breakfast meal. 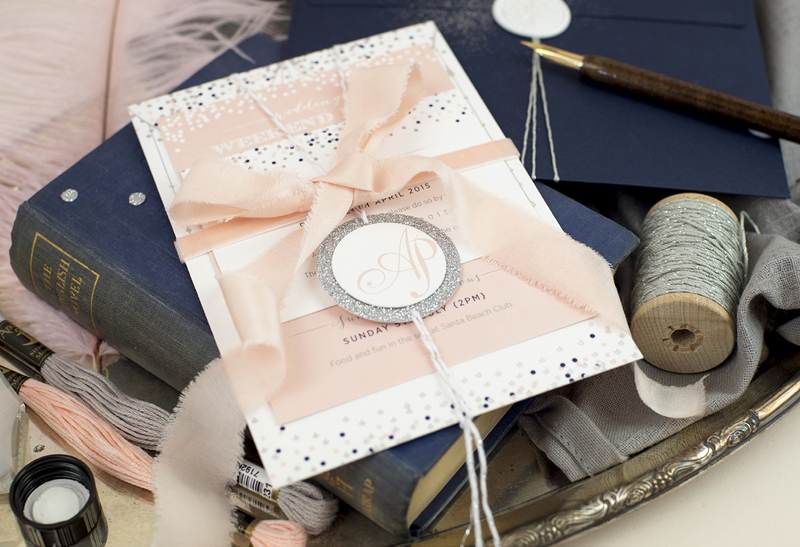 Everything was then hand-tied with a soft silk blush ribbon to complete this luxurious suite.